This week's $5 or less pantry building challenge took me back to the Dollar Tree ... I really like shopping there, can you tell??? Remember that this $5 is not part of the weekly groceries budget. It is set aside to be used just for stocking up in any area of our pantries. This week I finally found an item I’ve been looking for, for several weeks. It seems this item was not available in Dollar Tree stores in our area, until now!! What about you, what did you add to your pantry for $5 or less this week? 5 tins of baked beans at $4.50 - 75 cents each is a good price for Heinz beans up here. Margie, that would be a good price in my area too! You did good! Well done Patsy Himalayan Pink salt is expensive usually to buy even here in Australia :) . Not adding to our pantry until next month now here though as we have spent our pantry building budget for this month. Lorna, next month will be here before you know it! What do you use the pink salt for? Wendy, I use it like regular salt, it has more minerals and is better for you. That is funny. 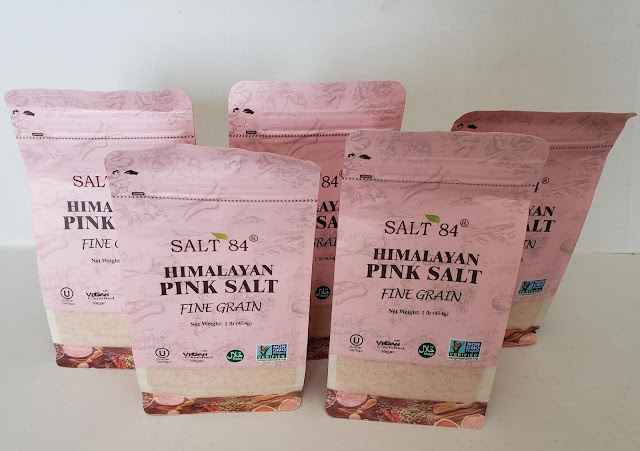 I also added the same 5 bags on Himalayan pink salt from dollar tree. Cheryl from Cheryl's frugal corner blog alerted me to it. Nancy, it's a really good deal for a really good product!! Patsy, today I found panko breadcrumbs at Dollar Tree. I got Himalayan pink salt from dollar tree last week. love stocking my pantry. Coni, I haven't seen the panko breadcrumbs, I'll have to look for those! Thanks for the tip!! !